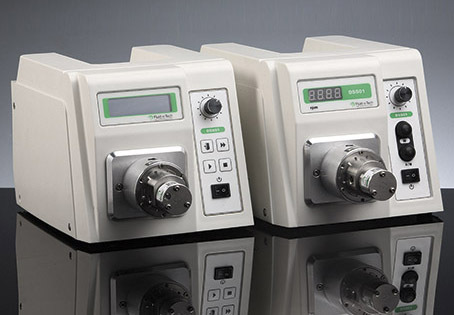 Fluid-o-Tech®’s metering systems are highly accurate driving systems designed for Fluid-o-Tech® magnet drive gear pumps for dispensing liquids with flow rates ranging from 90 ml to 3600 ml/min. The driver is a 24 V DC brushless motor closed loop controlled by Application Specific Integrated Circuit (ASIC) granting high efficiency, silent operation and long service life. Different pump heads series (MG200 – MG300 – PG300) with different gear width can be mounted on the unit.